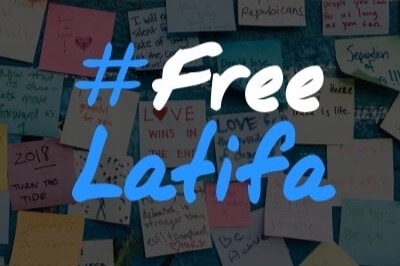 Fundraiser by Free Latifa : Join the fight to free Latifa! Join the fight to free Latifa! On the night of March 4th, 2018, an unprecedented international incident took place in which a significant Indian and UAE military force converged and carried out an unprovoked attack on a small, American pleasure yacht off the coast of Goa, India. This force – consisting of at least two state-of-the-art ships from the Indian coast guard, a UAE Navy frigate, several hundred men, including an elite commando unit and a detachment of the UAE armed and state security forces, helicopters and planes – was sent to illegally capture and kidnap one young woman. This force consisting of at least two state-of-the-art ships of Indian Coast Guard, several hundred men, including an elite commando unit and a detachment of the UAE armed and state security forces, helicopters and planes were sent to illegally capture and kidnap one young woman. On that night, Indian commandos boarded the yacht Nostromo, savagely beat and tortured the crew of the ship, and dragged the woman away, illegally ignoring her desperate pleas for asylum. That they did this even when they knew they were blatantly violating international law by attacking an American ship in international waters speaks of the power of the man they indirectly served. That man is Sheikh Mohammed bin Rashid Al Maktoum, the unelected and unchallenged ruler of Dubai, and the woman whose dream of freedom was brutally and violently crushed that night was his daughter, Princess Latifa bint Mohammed bin Rashid Al Maktoum. Every individual, regardless of background, has the right of self-determination. That right was snatched from Latifa in what was effectively a state-sponsored kidnapping. That is why there is masses at stake in our campaign to give Latifa the right to leave Dubai in safety. Personal rights, in particular women’s rights, will suffer a setback if Latifa is not freed. She was desperately trying to escape her gilded cage, where she, like so many other women, would have been forever considered a child, a mere possession of men, instead of an adult capable of her own choices. A place where she, like her older sister, was imprisoned, abused and tortured on the orders of her father for attempting to escape once before. A place where she is once again detained against her will, likely drugged and abused, or far worse. That place is Dubai in the 21st Century, a city selling us an illusion of modernity, tolerance and safety, where the glittering facade of gleaming skyscrapers, opulent shopping malls, and corporations like Emirates Airline, hides beneath itself a rotting core of human rights violations, corruption and an ever-present police state. Latifa spent years planning her latest bid for freedom. Part of that plan was to record videos, to be released in the event her escape was unsuccessful. One of the recordings she made is a lengthy video chronicling her harrowing experiences and her dreams for a brighter future, and in so doing she delivers a scathing denouncement of the hypocrisy of her father, her extended family, and the Emirati society. That video saw Latifa predict what would happen to her if caught. She was right. It’s only because of this video that her companions were released from captivity, and because of it – as well as another yet unreleased video – that she may yet have hope. This time Latifa surrounded herself with trusted friends and advisors who believe in her, and in the universal right to a free life. By now millions around the world have heard her voice and know her story. If you haven’t seen Latifa’s first video, please take a moment to watch the video , and listen to Latifa in her own words available on the campaign website. You will witness a courageous young woman of unyielding spirit taking control of her own destiny. You might also want to read the statement from Human Rights Watch and the statement of the Guernica Group detailing an urgent UN request about the case to UAE and India. As the new of Latifa’s amazing bravery spread she has inspired women across the Middle East to fight for their freedom. For nine months the UAE were silent over the fate of Latifa. It was only after the BBC screened ‘Escape from Dubai’ on 6 December 2018, an hour-long documentary that Tiina, David and the team had produced with the BBC, that the UAE were forced to reveal they had abducted Latifa. Days later we now know that Latifa’s stepmother paid for her friend Mary Robinson, the former UN High Commissioner for Human Rights, to provide a veneer of respectability by visiting Dubai and testifying that Latifa “regrets trying to escape” and was back “in the loving care of her family”. Robinson was roundly condemned for those comments and for interfering in a live human rights issue; she has partially retracted her comments. It’s now one year since Latifa was abducted. She is still being held in Dubai against her will, by the very family she and her sister spent two decades trying to flee. Her fathers office says she is receiving psychiatric care and that she is “troubled”. In her pre-escape video, Latifa predicted that if she was captured, she would either be killed or drugged and jailed. Ironically, Mary Robinson’s interference, which was met with worldwide condemnation, has confirmed that Latifa’s fears have come true. The battle to help Latifa flee Dubai continues through legal battles, UN examinations, and police and FBI investigations. Each week, more and more people learn of Latifa’s plight, millions are added to the list every day, and Latifa’s inspiration has encouraged other women across the Middle East to flee, among them Rahaf Al Qunun and Hind Al Balooki. Yet Latifa continues to languish in what she described as “hell”. It is time for the international community and everyone – especially women – across the world to unite and secure her freedom. You can also read about Latifa, in more detail on the our website, www.FreeLatifa.com. You can find the timeline of events here, from her daring dash for freedom across the Dubai-Oman border, to the illegal attack on the Nostromo, and all the latest updates are regularly posted on the website. Sheikh Mohammed bin Rashid Al Maktoum, keeps Latifa as an effective prisoner. We need to help her to gain her freedom and we are urging the international community to join the campaign. We will not let her down. Our commitment to fighting for Latifa’s freedom is based on what is at stake here: Latifa stands for every person, especially every woman, who is held against their will when they have done nothing wrong, and sought only to exercise their UN-recognised right of self-determination. We will continue this fight in the courts of law, and before governmental and international organisations such as the United Nations. The Free Latifa campaign has already been successful in forcing Dubai to reveal that it was state security forces who abducted Latifa in March 2018, and that she is at least alive. We are now demanding what Latifa has fought for, for years: that she be free to travel to a country of her choice, with her sister Shamsa, free from torture, abuse and duress, and be able to associate with whichever friends, advisors and lawyers she chooses. “If I don't make it out, I really hope there’s some positive change that will happen from all of this,” she said in her remarkable video she recorded before her daring escape attempt in February 2018. She wanted the world to know about her and her sister’s two- decade-long struggle for freedom from torture, abuse and oppression. As well as fighting her own battle, Latifa is also an advocate for equality. She made it clear that, even if she didn’t succeed, she hoped her story would encourage other women in the Middle East to stand up against male guardianship and patriarchy, and ultimately be free. We are making sure her story will be heard everywhere. The Free Latifa Campaign was established by Latifa’s best friend Tiina Jauhiainen and Human rights lawyer David Haigh, campaigner Radha Stirling and the crew of the Nostromo. The campaign is run by Tiina Jauhiainen and David Haigh with the support of other friends of Latifa. We are the official campaign group representing her. The campaign to free Latifa is an international campaign, and we are fighting a state with almost unlimited wealth and resources. We will not be deterred or cowed by this fact. While all members of the campaign team are volunteers, many of who have put their lives on hold to fight for the freedom of Latifa, there still are many expenses that we need your assistance with. There is so much more we can do to help Latifa, should we have more funding available to us. Some of the examples of what we will spend the donations on are set out below. · Legal fees and expenses incurred during legal proceedings - We are pursuing criminal and civil actions in the US, UK, Finland and elsewhere, and have brought complaints before the UN. Whilst our legal team are volunteers and working pro bono, we need to raise funds to cover their expenses such as flights and hotels to required hearings and meetings, such as to the United Nations in Geneva. A return flight from London to Geneva, is several hundred pounds alone. The Free Latifa campaign is fortunate to have a talented and dedicated legal team working probono. In early 2018 we appointed leading international human rights barrister Toby Cadman of Guernica 37 International Justice Chambers to work alongside David and to act on behalf of Princess Latifa in seeking justice. before the UN and elsewhere. Lisa Bloom, a prominent US lawyer has also joined the list of supporters. · Publicity - We use funds for campaign materials such as leaflets, campaign postcards, advertising banners, campaign t-shirt. We also use advertising campaigns in both traditional and social media, including Facebook ads. · Full transparency– your money will be used for this campaign only. We shall, on regular intervals, publish and detail everything the money has been spent on the campaign website www.freelatifa.com. · Keep on fighting– we will not give up until Princess Latifa Al Maktoum is safely released, and free to leave the UAE. Please consider donating what you can and remember that even a small amount will help. And even if you can’t afford a donation right now, you can help us by spreading the word. Please follow us at Twitter and help us by tweeting and sharing this fundraiser. We would also be grateful if you could sign, and share, our online petition. Princess Latifa told Tiina that she intended to open a charity for women in situations similar to her own. Let’s help her together, and by doing so raise awareness for all women denied their freedom of choice. We thank you for your support. Let’s make some noise. 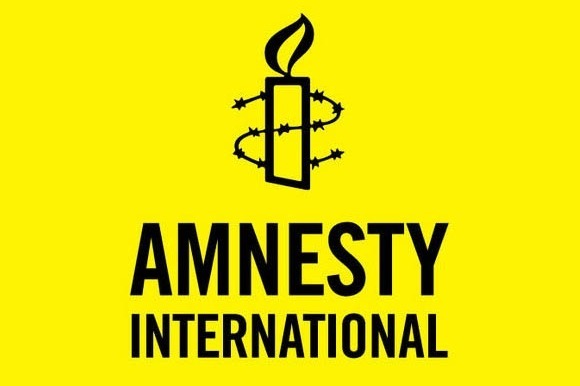 The leading international human rights charity Amnesty International joins UN and HRW in calls for release of Latifa Al Maktoum. Leading news show 60 minutes Australia, dedicate full hour show to the case of brave Princess Latifa, still missing. Dubai and her father tried to keep the story quite, they failed. A recent article in the dailymail.